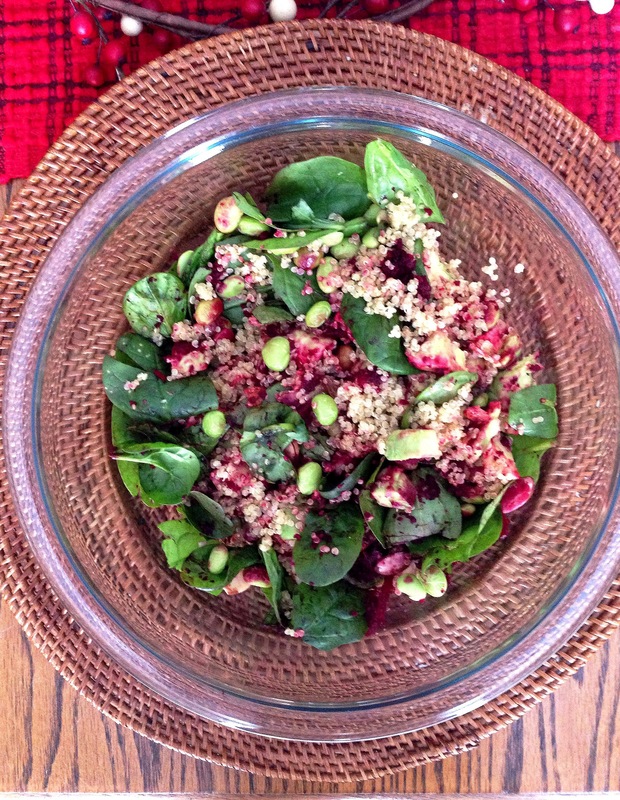 This power quinoa bowl is bursting with flavors that your taste buds will love! Roasted kale and chickpeas are mixed with a garlicy lemon tahini dressing and topped with avocado and green onions. Thursdays have slowly become my favorite day of the week! Crazy right?? But I’m fortunate enough to have Thursdays off from work and they have become my recipe testing, cooking, and food photography day. For countless Thursdays I have created quinoa power bowls for lunch/dinner from whatever I have left in my fridge. This vegetarian quinoa bowl with roasted kale, chickpeas, avocado, and a lemon tahini dressing is definitely in the top five! Roasted kale chips are probably my all time favorite thing to snack on. My sister and I will clean out my garden and sit around devouring them all day. I’m not even kidding; sometimes we don’t even make it to the couch, we just stand over the tray on top of the stove grabbing handfuls! For this recipe I used homemade roasted kale, but store bought chickpeas. You can use store bought of both or roast both yourself! But the recipe will take longer if you roast chickpeas at home. Meanwhile, preheat oven to 350 degrees. Wash and rip kale leaves into bit size pieces. Layer on baking sheet, drizzle with olive oil, and salt. Bake about 10 minutes or until browning, tossing halfway through. Once quinoa has cooled, transfer to a medium size mixing bowl, add in the kale, chickpeas, and avocado. In small mixing bowl stir together the tahini, water, lemon juice, olive oil, salt, pepper, and roasted garlic seasoning. Pour dressing over the quinoa mixture and stir together. Top with green onion. This cilantro lime dressing is tangy and just a little sweet. You’ll want to use it on top of everything, like this easy and healthy vegetarian quinoa bowl. Finally the weather is getting nice and the only thing my son wants to do when we get home at the end of the day is “PLAY OUTSIDE” as he nicely tells me in his sweet two-year-old voice. I love it; we easily stay out until 6 or 6:30 pm, but just like a typical two year old, he has no patience to let me cook dinner. Insert easy vegetarian quinoa bowl to the rescue! My favorite part about these quinoa bowls is many of the items can be prepped in advance or cooked a day or two before with another dinner. Having a baked sweet potato another night? Cook an extra one to use in this recipe. The cook time for this recipe assumes you already have the sweet potato cooked. If you don’t, remember to allow for an extra 45 minutes for that to bake in the oven or you can cook it in the microwave.